Forget everything you know about headphones. Mix-Fi is the first headphone that brings real audiophile sound quality to every device—from laptops to phones and even home audio and studio gear. And Blue completely reimagined how the headphones fit on your head, so you’ll get optimal sound and listen-all-day comfort. Mix-Fi is the first headphone that combines a built-in custom audiophile amplifier and insanely great-sounding drivers for a truly mind-blowing listening experience. With high-end, high-fidelity sound drivers and a perfectly matched amplifier, Mix-Fi delivers the most accurate sound reproduction you’ve ever heard. It’s like having the power and quality of a hi-fi system—inside your headphones. MAKES EVERY DEVICE SOUND BETTER. Mix-Fi improves the sound of every source—from smartphones to studio gear—by reducing the audio workload on your device. The amplifier provides tons of power so your source doesn’t have to work so hard. You’ll get way less distortion, leading to unparalleled sound quality… on every device. Mix-Fi is no ordinary headphone. 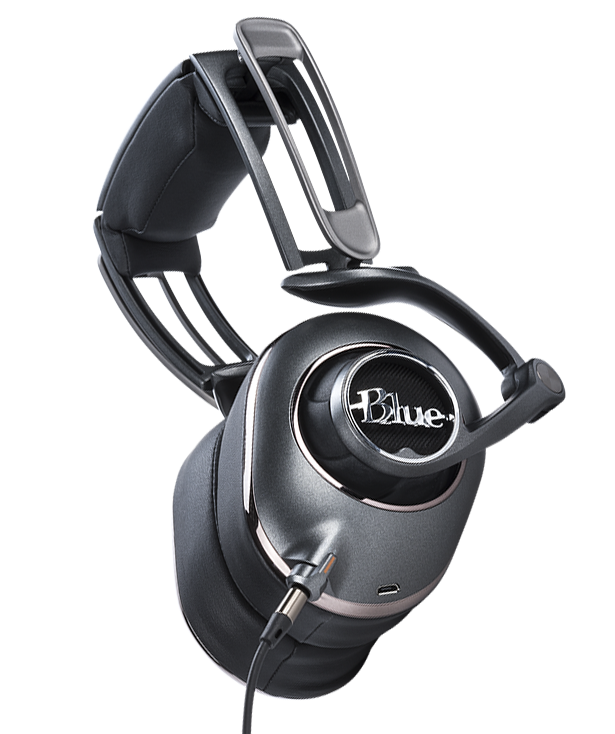 From the multi-jointed design to earcups shaped like ears, Blue has completely reimagined the form and functionality. The result feels less like a headphone, and more like a high-quality instrument you can wear. Unlike those bass-in-your-face headphones, Mix-Fi includes three amp modes so you can choose the right sound for your music. No DSP tricks here—this is all analog. No matter if you’re listening to 70s-era rock, modern pop, orchestral, hip-hop or something else, you’ll have total control over your listening experience. Mix-Fi’s smart design saves big on battery life, ensuring that the headphones are always ready for action. First off, Mix-Fi knows when you’ve stopped listening and automatically powers down to save juice. The battery will charge completely in 3-4 hours, and give you approximately 12 hours of life-changing playtime (with intelligent power management, that 12 hours will feel like forever). And even if the battery runs down, Mix-Fi can continue to work in passive mode. GO FROM LO-FI TO MIX-FI. More and more hi-resolution music is hitting the market. These incredible recordings allow you to enjoy all the details of the original tracks. But why listen to hi-res music with low-res headphones? Only Mix-Fi can faithfully reproduce these amazing recordings. So go Mix-Fi—and hear what you’ve been missing.